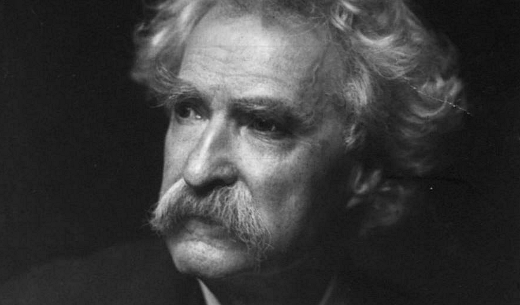 As he slept upstairs on September 8th of 1908, two young burglars entered Mark Twain's home, took an entire sideboard into the garden and proceeded to break it open. They were eventually caught by police with a stash of silverware. 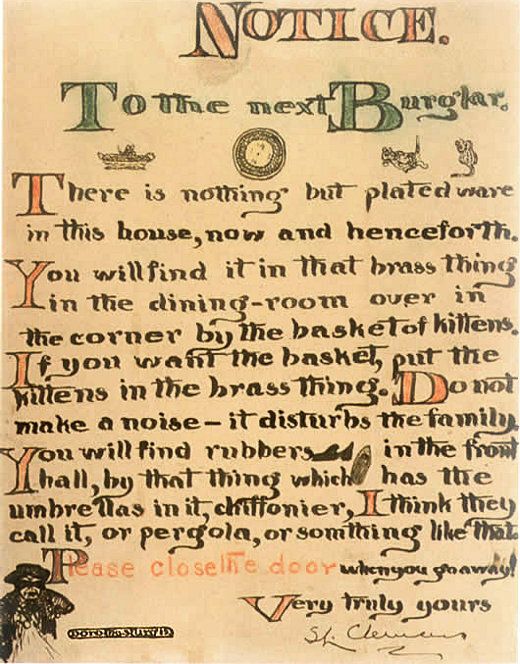 The next day, with the help of an aspiring young artist named Dorothy Sturgis, Twain produced the following note for the attention of future burglars. From that day on, it was permanently attached to his front door.